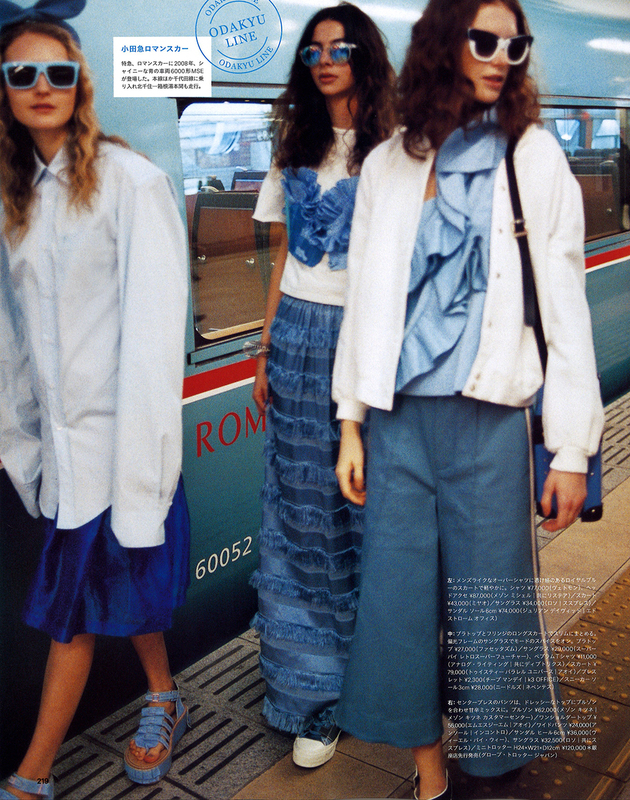 A fun story I shot for Ginza Magazine April issue is finally out! As you can tell it was all about colour coordinating our outfits with trains. Even though I take trains in Tokyo every day, I didn't know they have them in so many different colors. Transportation in Japan in operated by many different train companies and each has their own signature look. For the picture with green tram, we were there waiting literally for 40 minutes to catch the green one..before came blue, orange, yellow, purple and even pink trams..